John B Site | Relax, Replenish, Revive. 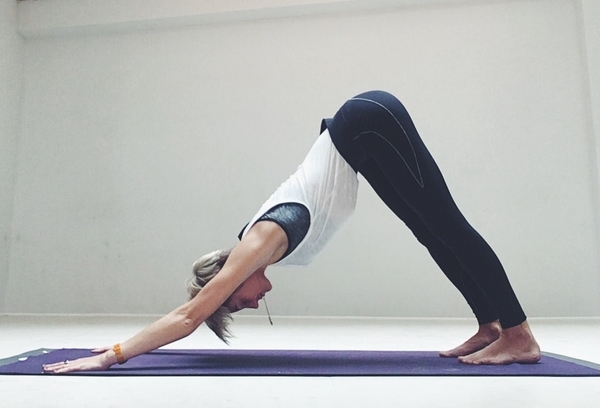 Yogis know that the Downward Facing Dog is one of the most basic and essential poses in all yoga disciplines. Most people consider this to be one of the quintessential yoga poses for beginners. When you first started your yoga practice, you probably spent a lot of time focusing on the proper alignment and shape of this extremely basic asana. Sometimes, that attention to detail can be lost in the years and months of a developing yoga practice. It’s time to get back to the basics and take a closer look at how you can better align your Downward Facing Dog pose. Placing your hands and feet properly in a Downward Facing Dog is essential to prevent too much strain on your joints. Your hands should always be shoulder’s distance apart, and your feet should be hip’s distance apart. Both the hands and the feet should be parallel to the long side of your mat. The weight should be pressing equally into each finger of the hand and each toe of the foot. This prevents you from putting too much strain on the joints and allows you to experience a more satisfying Downward Facing Dog. Allowing the head to simply hang in space might feel good for a moment, but you can actually damage the spine this way long-term. Allow the neck to become a natural extension of the spine, keeping the head in line with the rest of the body. It should fall somewhere close to the space between the upper arms depending on your body build. The ears will usually be in line with the arms. This should allow you to look at the feet or possibly between the knees. When your arms and legs are working hard in this asana, it’s tempting to let your core muscles have a rest. However, the core muscles are essential to relieving the tension and pressure on your wrists. Be sure to keep the lower belly drawn in and the core muscles activated. Obtaining the perfect alignment in your Downward Facing Dog is essential to maintaining a long and healthy practice over the years. Next time you move through a series of Sun Salutations, take a moment to pause in this essential pose. Think about your alignment and make any necessary adjustments so that you can enjoy the strength and feeling of this pose completely. We’d all like to lead happier and more stress-free lives. Many of us don’t have the time to devote to the kind of research and resource-gathering techniques that incorporating wellness activities into our lives requires. The good news is that, by making just a few simple choices, it’s possible to see some significant changes in your overall health and energy levels. Here are some ideas for changes in your routines that will help keep you looking and feeling great. Is breakfast the most important meal of the day, or totally unnecessary? It depends on whom you ask. Some people don’t get hungry in the morning, and others are ravenous. Regardless of which one describes you, there’s no question that once we get going, it’s easy to get distracted and find ourselves in the middle of something a few hours later and in a crabby mood because we haven’t eaten. If you eat something within the first hour of waking up, you avoid this problem. Once the day has begun, it’s often difficult to take time out to seek out a healthy snack, and we often grab whatever is nearest and easiest. Is the snack that’s nearest and easiest to you usually something that promotes your best health? When you do eat, make sure to throw in some healthy fats. It’s important to get some nutritious healthy fat into your body first thing in the morning. The latest wellness fad is to put healthy fat sources (MCT oil, ghee, cacao butter, coconut butter, or even just plain old butter) straight into your coffee. This admittedly strange-sounding practice, called “Bulletproof Coffee,” originated with a wellness entrepreneur named Dave Asprey, who has a list of other issues with how the coffee is supposed to be roasted, et cetera. But the bottom line is this: butter in coffee pairs with the theory that healthy fats help caffeine metabolize slowly and work longer, rather than spiking and then crashing as usual. The other benefit is the hours of energy you get with fat without being hungry. Let’s say you’re not ready to dump butter into your coffee. Let’s reflect that it’s not that far off from what we do with milk or half & half. 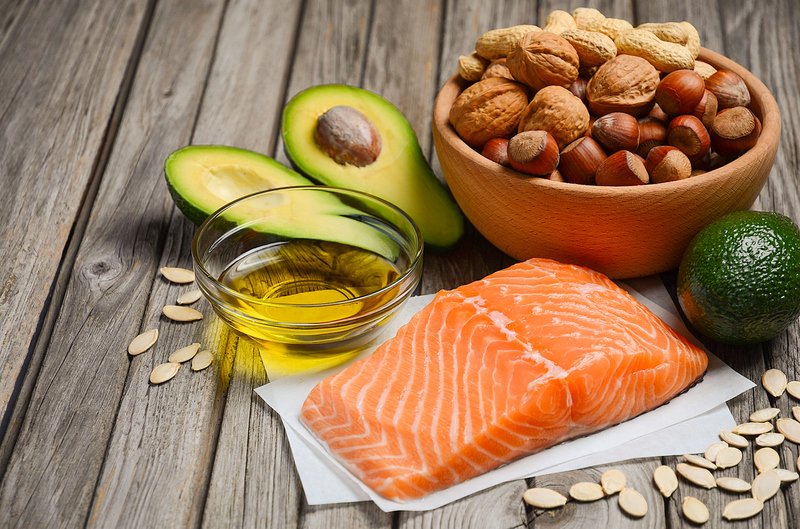 The theory behind a diet higher in healthy fats is that your metabolism is like a fire and putting fat in your body is like putting a log on the fire rather than a branch (protein), twig (carbohydrate) or paper (donut or other sweet). Whether this is an accurate metaphor, I’m not sure, but when I eat fat in the morning, I can go until past noon without being hungry. We all look forward to sleeping in on the weekends, but it’s probably doing your body more harm than good. Even when you don’t have to get up early for work, you should try to stick to a routine with waking up and going to sleep. This helps your body adjust itself and become regular in its sleep cycles, and ensure that you get enough rest. Practicing Yoga is incredible for you both physically and spiritually. It helps strengthen and mobilize the body. The knee is one of the most mobile and commonly injured parts of the body and because it is mobile, the knees is often times neglected. Some of common injuries can occur in your meniscus, anterior cruciate ligament or patella. If you feel any pain in your knee, yoga is the natural answer to effectively ease your suffering. But before you start trying these postures, remember to seek your doctor’s opinion first, especially if the pain has been lingering for a long time already. These poses will help lubricate the knees, releasing tensions, creating a larger space for healing and movement. If you feel any pain upon entering the posture, modify it, take a rest or stop. Listen to your body the following day and gauge whether the pain was reduced, eliminated or worsened. The goal is to help your knee recover faster and safely. Ado Mukha Svasana. The infamous Downward-Facing Dog. This pose helps stretch the hamstrings, Achilles tendons and the calf muscles. It also stretches and balances your posterior leg muscles. How: Start with your hands and feet planted on the ground forming you to an inverted V. Push through the pelvis and shoulders while keeping your gaze at your navel. Try bending the knees alternately to deeply stretch the muscles on the back side of your leg. Virabhadrasana. Also known as Warrior 2 Pose. This standing pose can actually cause further damage to your knees when done without caution. Instead of bending the knees at 90 degrees which puts a lot of pressure on the joint, increase the angle to 135 degrees to slowly strengthen and stabilize them. Be mindful of how wide your stance should be to avoid straining your quadriceps. How: Start in plank position. Activate your core and shoulders and bring your right foot forward between your hands while keeping your left foot turned out at 45 degrees. Extend your arms to the sides and push forward to the right foot. Make sure it is aligned vertically with the knee. Hold the pose for 3-5 breaths and straighten the right leg to release. Turn to the other side and do the same technique. Upavishta Konasana. Wide-Angled Seated Forward Bend is an incredible and easy way of stretching the back, inner thighs, groin and hips. It also stretches the hamstrings creating more space on the knee joints, releasing tensions and decompressing overused ligaments and muscles. How: Sit on the floor and open your legs on a straddle as wide and as comfortable as possible. Activate the muscles on your leg by flexing your feet and reach forward to the ground through the waist. Don’t slouch your back and reach deeper with every exhale you make. Hold the deepest reach you can for 5 breaths and release by hugging your knees to your chest. If you find keeping your spine long and straight a struggle, use cushion to elevate your hips a bit and support your back. These poses must be performed with awareness. Avoid putting a lot of pressure on the knees and listen to what your body is currently able to do. Never force any posture. Move consciously and slowly as your knees recover and strengthen, and you’ll surely be back in your game stronger and wiser!